Support UMO by pricing your ticket yourself (25-100 €). Tickets available via Ticketmaster. The proceeds will go to UMO in full. Support concert Long Live UMO! raises funds to save the UMO Jazz Orchestra. Best possible music from jazz and soul to pop in best possible company when a host of high-profile soloists do their bit for Finland’s finest big band. 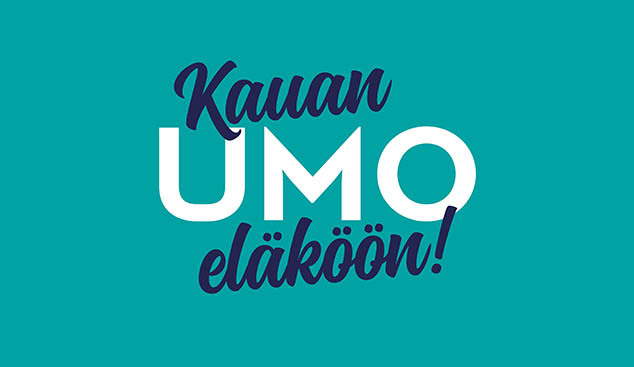 Organised on 29 October 2018 at Finlandia Hall, UMO will share the stage with such artists as Anna Puu, Paleface, Jimi Tenor, Sami Pitkämö, Sami Saari, Aija Puurtinen, Higher Ground Vocals, Jukka Perko, Teemu Viinikainen, Jukka Eskola, Jaakko Kuusisto, Kerkko Koskinen, Verneri Pohjola, Juhani Aaltonen, Jay Kortehisto and students from Laajasalo elementary school, without forgetting a number of UMO alumni, e.g. Eero Koivistoinen, Olli Ahvenlahti, Jukkis Uotila, Pekka Sarmanto and Pentti Lahti who build up a vintage-UMO. UMO will be conducted tonight by Mikko Hassinen, Eero Koivistoinen, Kirmo Lintinen, Antti Rissanen and Ville Vannemaa, who has put together the program. Join us on a nostalgic trip and raise your glass for UMO and its brighter future! Alongside the support concert, UMO has launched a crowdfunding campaign, which aims to secure a steadier financial future for the orchestra and protect its core values: maintaining a high artistic level, commissioning new compositions, offering versatile and appealing concert activity and inviting interesting soloists and conductors as guest stars. The crowdfunding campaign will also be used to fund an entirely new composition whose content and length and even its name is in your hands. The piece will be premiered at the support concert. Read more about the campaign and participate here (in Finnish only, sorry! ).